When this exuberant new musical from The Feeling's Dan Gillespie Sells and writer Tom MacRae premiered at the Sheffield Crucible earlier in 2017, it became an instant success with both audiences and critics. 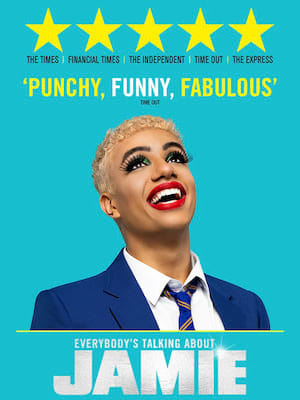 Based on the story of Jamie Campbell, a gay 16-year-old who stunned his school by heading to prom in heels and frock, Everybody's Talking About Jamie is an infectious, funny and touching exploration of sexuality, ambitions and coming of age when you're destined to stick out from the crowd. The Horrible Histories team truly are the gift that keeps on giving. 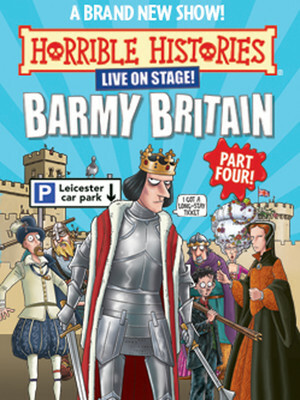 After 2017's Best of Barmy Britain, they're back with Part Four of their zany series, teaching us all about the history of this sceptered isle, with the gory parts left in! Through songs, sketches and silliness, be entertained by the rotten Romans, amazed by Richard III and his long stay in a Lecistershire carpark and grossed out by the duties of the night soil men - Britain's most disgusting job. For ages 5 - 105, the HH crew really do put on a show for everyone! The first Edwardian theatre in London owing to the death of Queen Victoria a month before its February 1901 opening, the Apollo has remained a successful theatre ever since. Originally sitting around 1,200, its inaugural production was the London premiere The Belle of Bohemia which ran for 72 performances. Over the years it has hosted scores of shows that fall under the banner of the four figures carved on its exterior, representing music, poetry, comedy, and dance. Coming through the war years intact, it survived largely as built until a fateful night in 2013 saw the ceiling collapse during a performance of The Curious Incident of the Dog in The Night-Time, which injured 80 audience members and saw the theatre closed for a substantial amount of time. 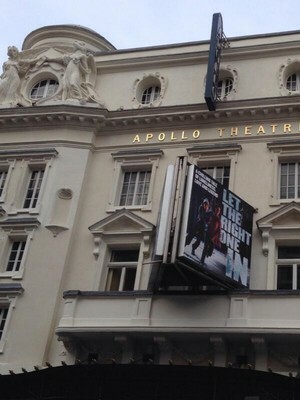 It re-opened in April 2014 with a run of John Tiffany's Let the Right One in and has yet to collapse again. Top tip for vertigo sufferers - the third tier is considered the steepest in London, so the faint-hearted might benefit from sitting a little closer to the ground!